Day Furs A+ garment. 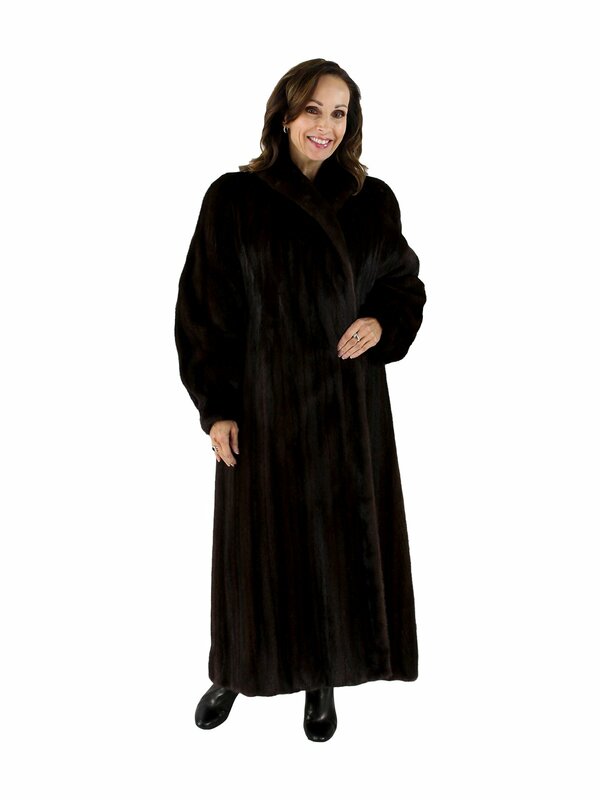 Dark mahogany female mink coat. Shawl collar. Band cuffs. Lots of sweep -- 76". 3 European hook and eye closures. Fits sizes 12 and 14. Looks and feels like new. Constructed from top quality skins and has lovely coloration and lots of sheen.